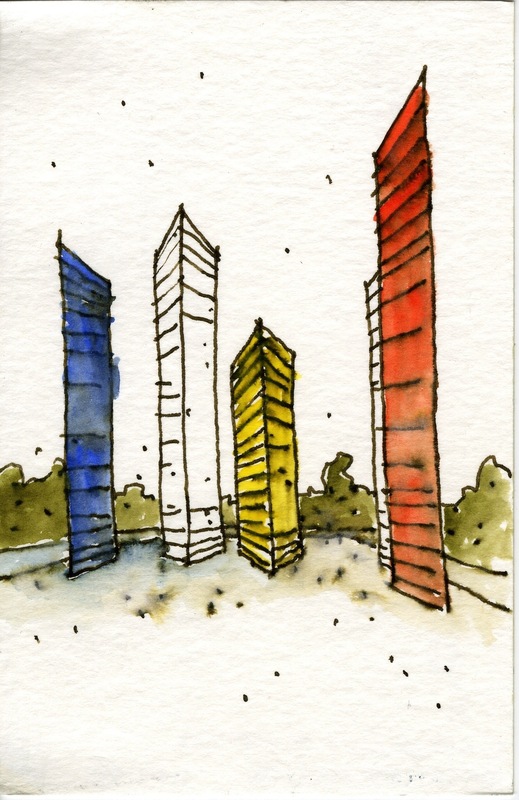 The Museo Nacional de Antropología, Chapultepec Park, Mexico City. 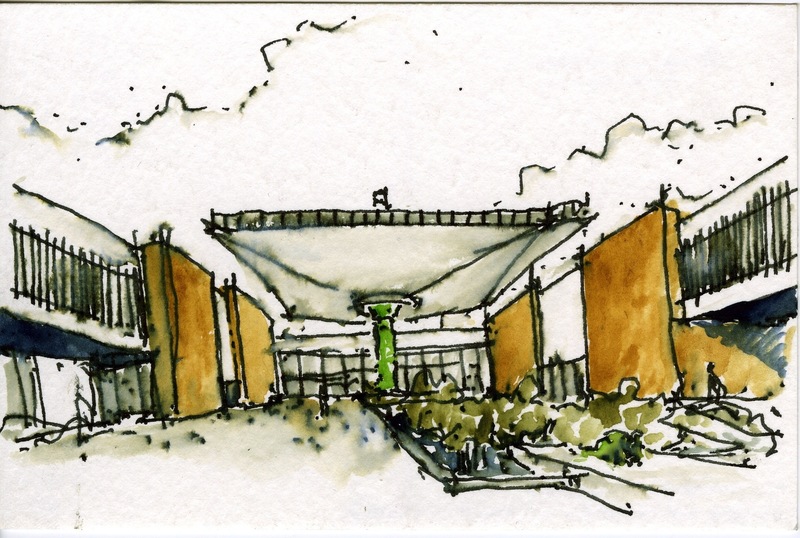 Designed in 1963 by Pedro Ramírez Vázquez, Jorge Campuzano and Rafael Mijares, it is an impressive example of modern architecture. 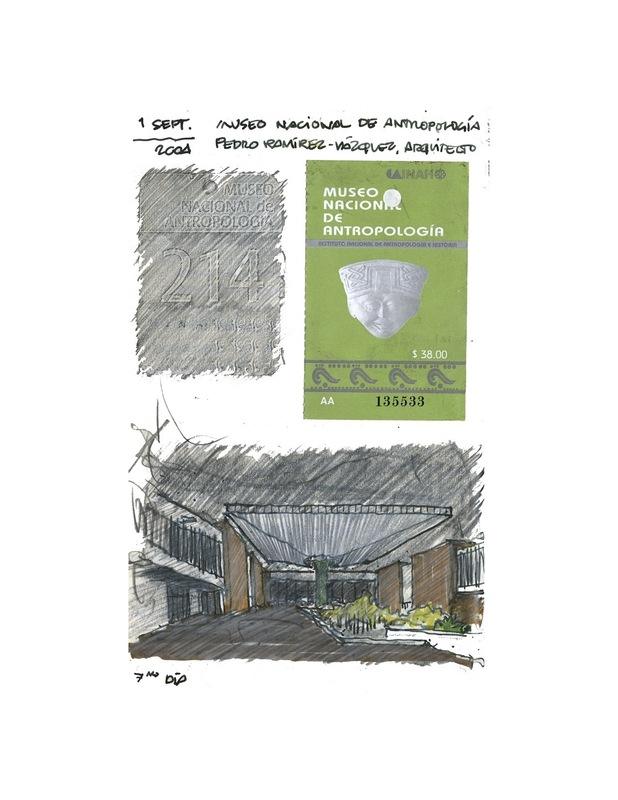 The main courtyard is partially covered by a roof (know as “el paraguas”) suspended by a single pillar around which splashes an artificial cascade. 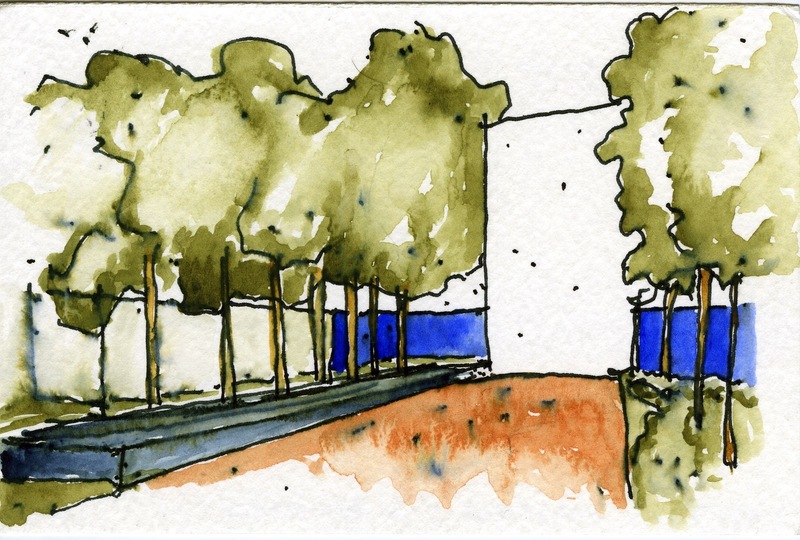 The halls are ringed by gardens, many of which contain outdoor sculptures. 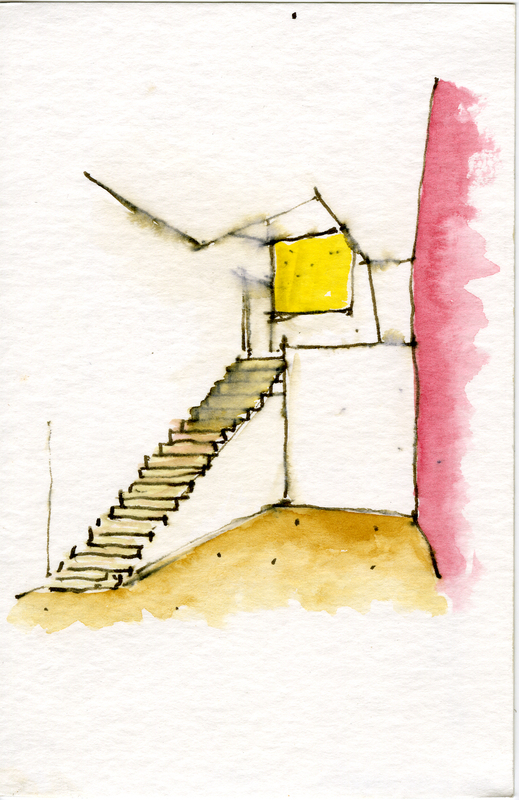 More watercolor and ink postcards sketches of Luis Barragán. 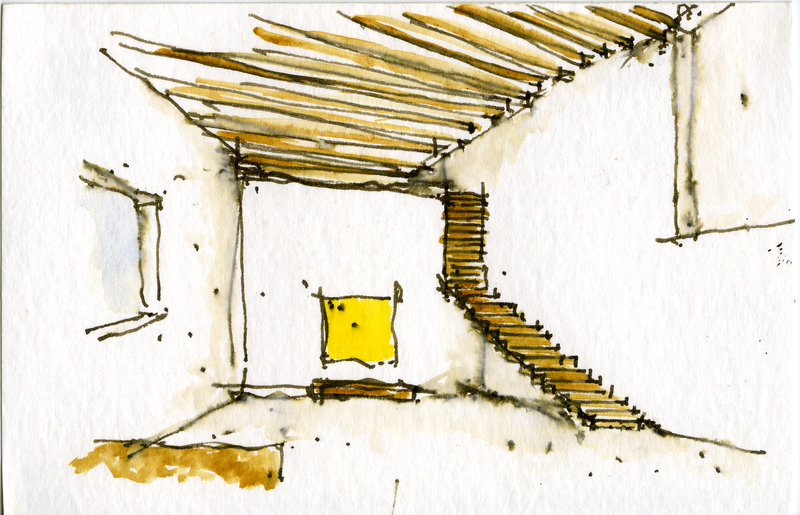 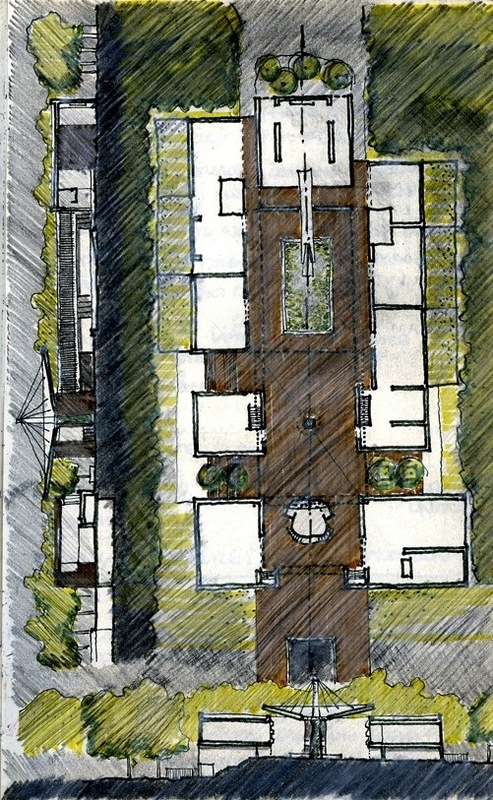 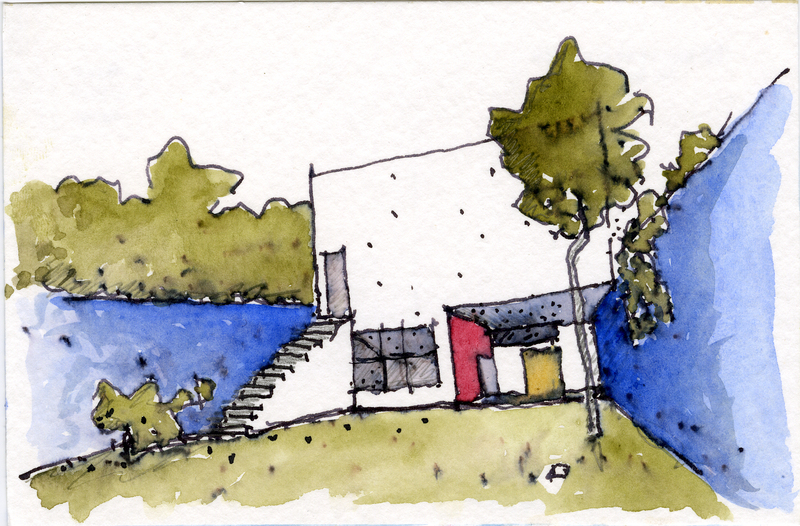 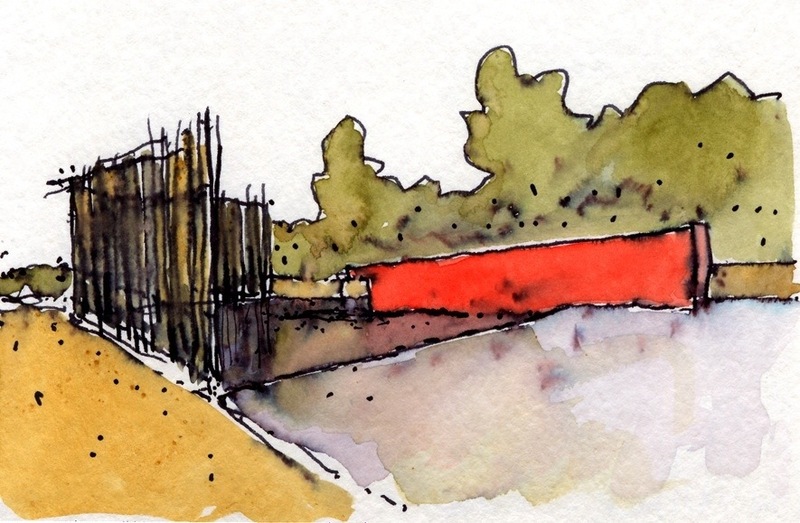 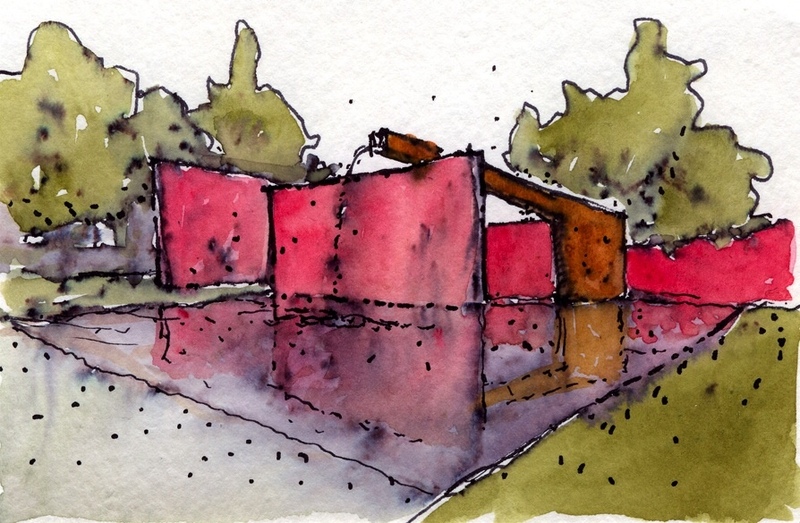 A few watercolor and ink postcard sketches I made some years ago of Luis Barragán‘s House and Studio.